Voxel Section Editor III (also known as VXLSE III) is an open source voxel creation and editing tool for Command & Conquer Tiberian Sun and Command & Conquer Red Alert 2 voxel files. Voxels are volumes (3D) of pixels used on certain old games and several scientifical (specially medical) researchs. For VXLSE III, voxel is basically is a 3D matrix of pixels, where each pixel has a colour and a lighting direction, for improved realism. Check Wikipedia for more information on voxels. - Opens, creates and edit .vxl files from Command & Conquer Tiberian Sun and Red Alert 2. 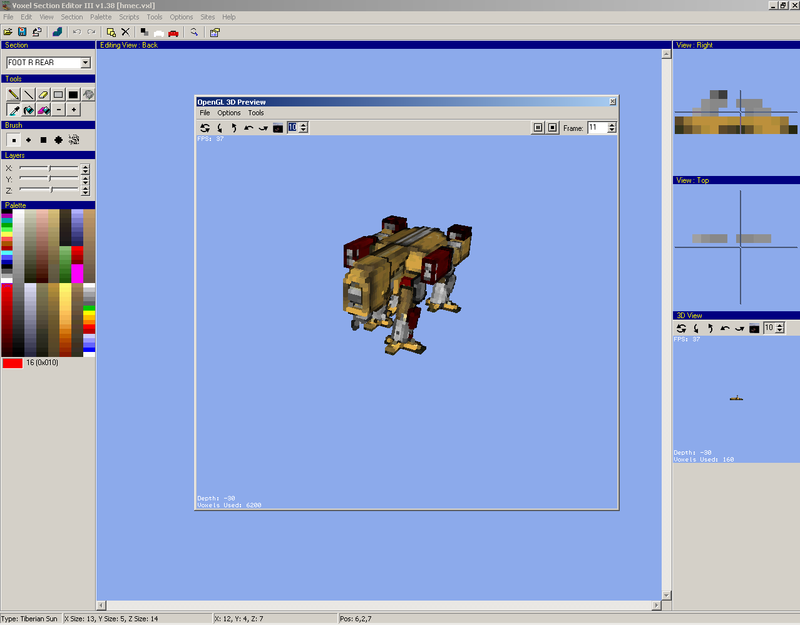 - Real time voxel 3D preview and a 3D preview window, both using OpenGL. - Runs on Windows 98 or later and also works on WINE (Linux). - It works with multiples sections per voxel. - Several basic brush tools, colour replacement tools and blur. - PalPack support for smart/fast colour replacement. - Export and load textures done with Photoshop to quickly paint your voxel. - An exclusive auto-normalizer tool to find the best ilumination for your voxel. - Flip, Mirror and Nudge your voxel quickly. Authors: Will Sutton, Plasmadroid, Koen, Stucuk and Banshee.